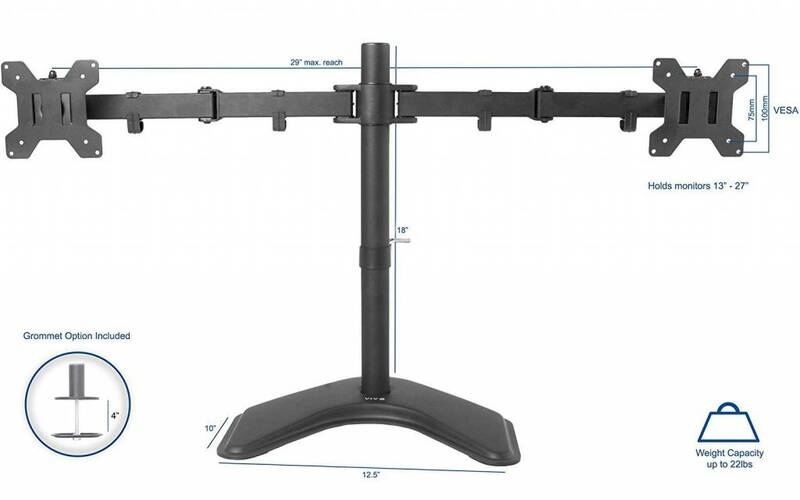 Dual LED LCD Monitor Free Standing Desk Mount with Optional Bolt-through Grommet/Stand Heavy Duty Fully Adjustable fits Two Screens up to 27" - NWCA Inc.
New dual monitor free-stand standing made of high grade steel and aluminum. 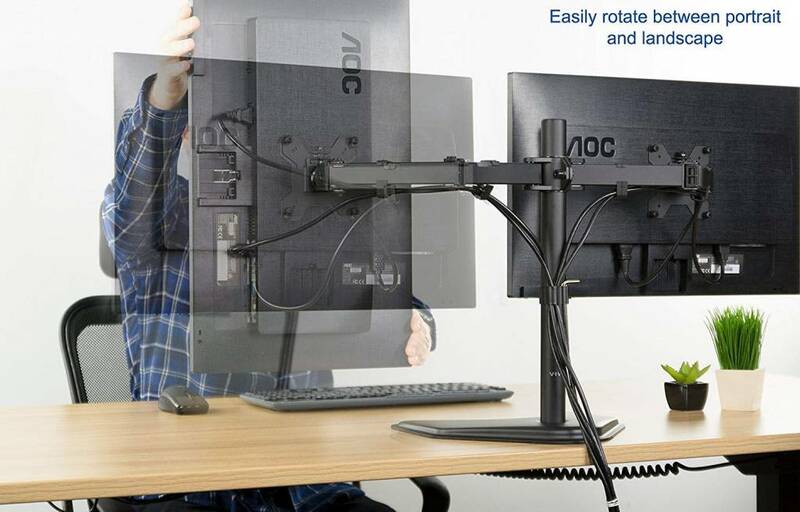 Fits most LCD monitors 13" to 27" and supports up to 22 lbs per monitor. Every joint is able to be tightened, so you can adjust exactly how fluid/stationary you want everything to be. 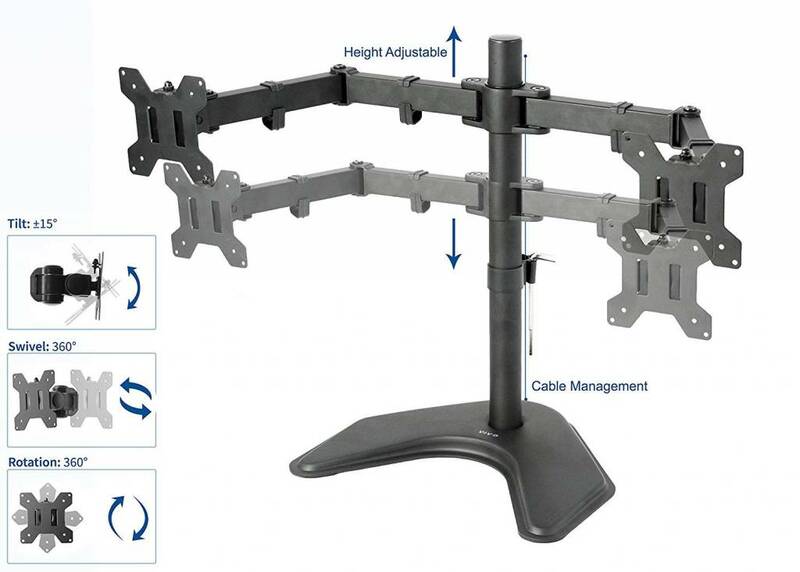 Special features include the ability for each individual vesa plate to be adjusted up and down by .5" so your monitors will be perfectly aligned (see pictures and video for more information). 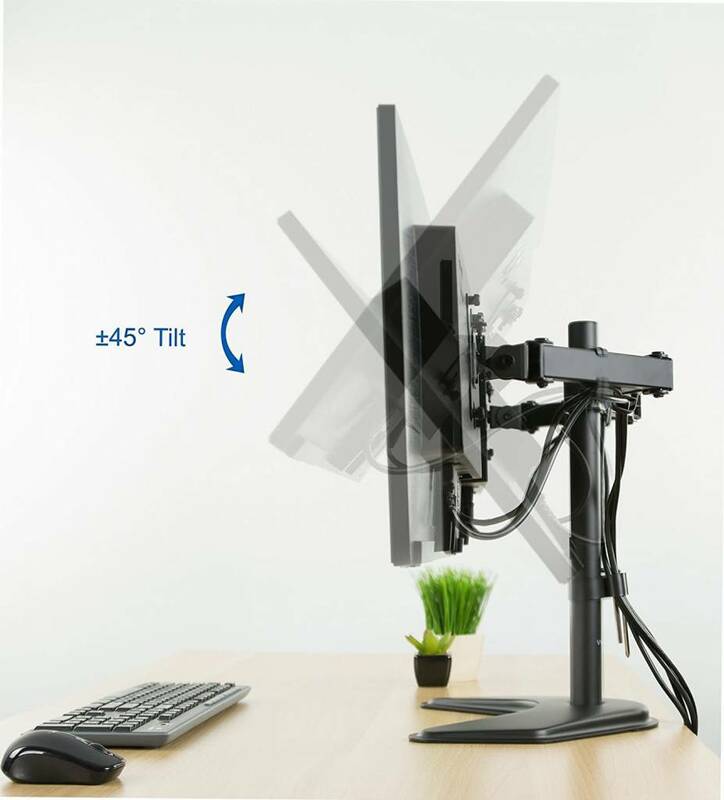 We also made mounting your monitors easy with detachable vesa plates that screw into your monitor and then slide back onto the frame of the stand. 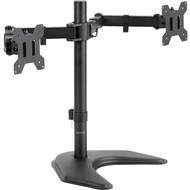 An optional bolt through grommet clamp is included with this stand. This has standard vesa 75x75mm and 100x100mm mounting holes. Mount uses vesa 75 x75 and 100 x 100 mounting holes. Features: 1) Tilt: 15 degree. 2) Swivel: 360 degree. 3) Rotate: 360 degree . 4) Height adjustable. 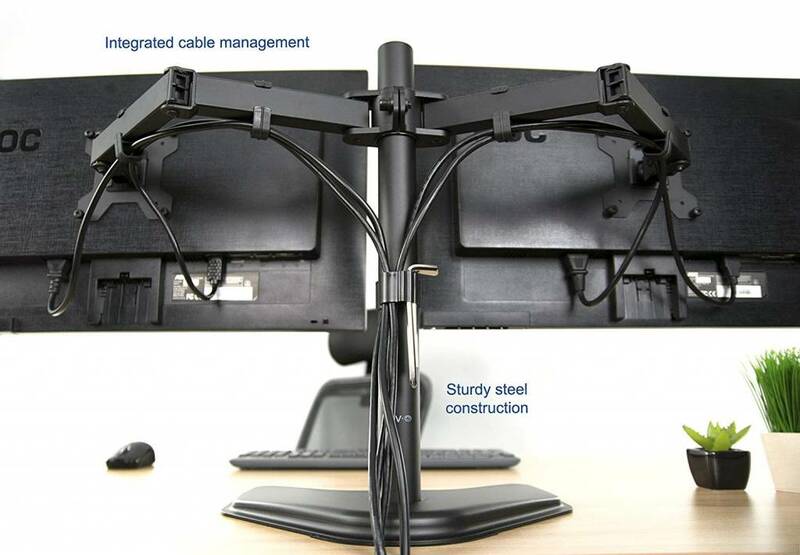 5) Integrated cable management system . 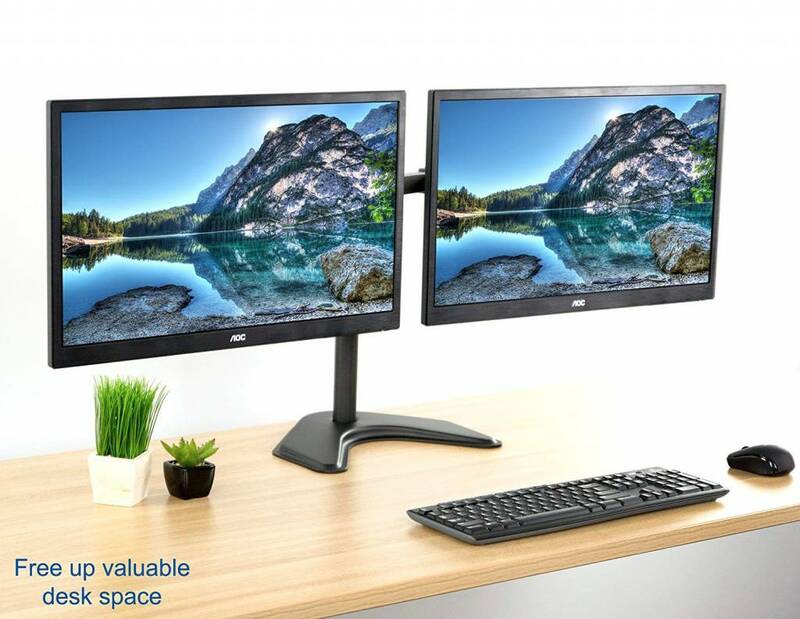 6) Monitor can be installed either in portrait or landscape shape. 7) Fully adjustable arms. Key measurements: from the desk to the top of the center post is 18". The distance between the square brackets that the LCDs mount to is 24" when full extended, and that is center to center. 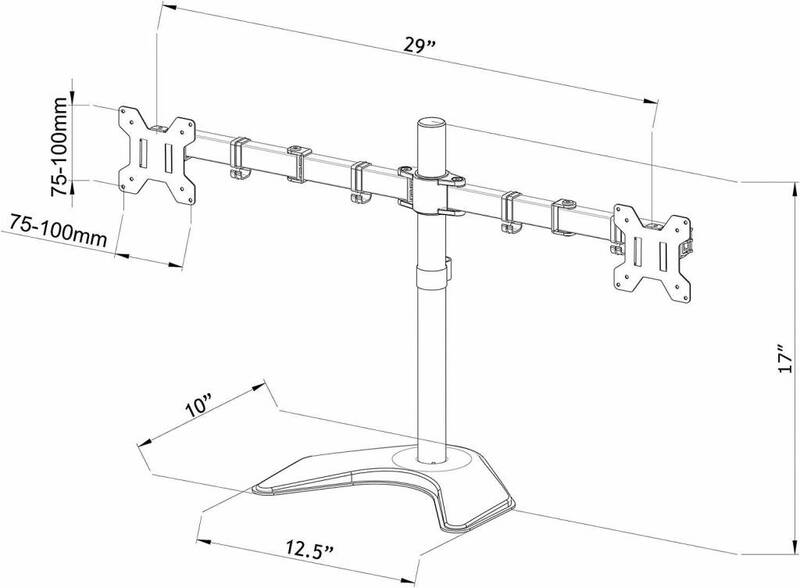 Base of the stand measures a 12.5" x 10" area.